The thing I love most about having a studio space is that friends spontaneously drop by without notice. I get very excited about visitors, maybe because I really enjoy feeding people and having conversations. There is always something in my refrigerator or freezer that can be turned into a meal or a treat. 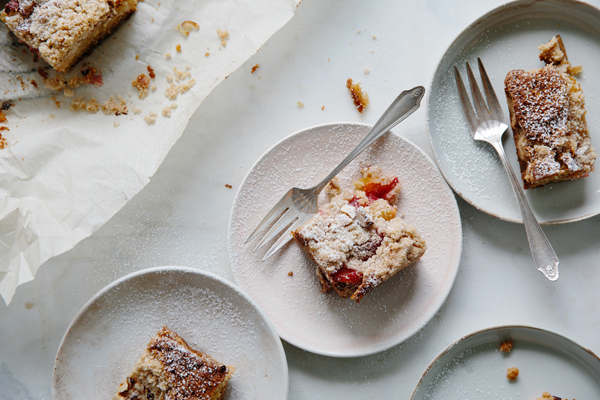 One of my favorite afternoon snacks is always a simple crumb cake with fruit inside and a cup of coffee. I tend to always have some sort of snack cake on the counter for when my children come home from school or for those times when friends pop in spontaneously at the studio. There are three components to this cake, which are all very simple. Let’s get started. Plums make a great cake filling because they are a bit tart and also have creamy texture when baked, but this cake would work really well with berries, rhubarb, pears, apples, peaches that are not too juicy, apricots, or cherries. 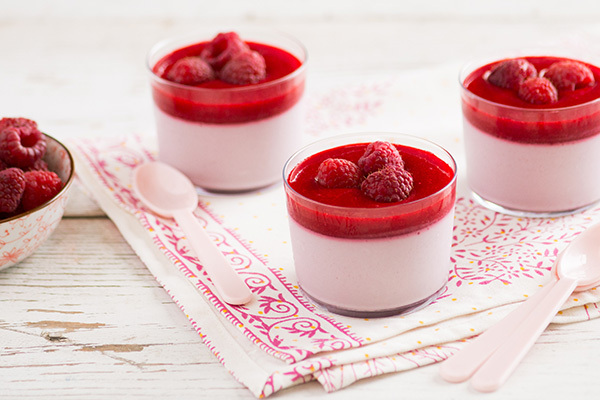 In fact, this is one of my favorite ways (besides tarts) to use up frozen fruit I might have in the freezer! You could also leave the fruit out all together and make this recipe into more of a coffee cake. Or, if you have that little bit of jam leftover, you could throw it into this cake recipe as a filling. As you see, this is a very versatile cake, allowing you to adjust it with the ingredients you already have in your kitchen. Cut the plums in half, remove the pit and slice them into wedges. Then, mix the fruit with sugar, cornstarch, ground ginger, and ground cinnamon. Let it stand and “marinate” while you prepare the other components. The crumb topping is very simple to make for this recipe. Mix all the dry crumb ingredients (brown rice flour, almond flour, sugar, ground cinnamon, and salt) together in a bowl. Then, work the diced butter into the dry mixture using your fingertips. It should feel a bit like a sandy mass with small chunks of butter in it! Set it aside while preparing the cake batter. 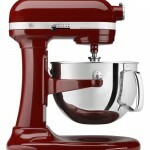 I mix the cake batter using a KitchenAid® Stand Mixer, which is one of my most-used kitchen appliances. I fitted my Stand Mixer with the flat beater to cream the butter, sugar, and vanilla together. When you are making cake batter, make sure your butter is at room temperature. This will ensure all ingredients are well creamed and light. Once mixed, add the egg and egg yolk and mix to combine. Add the rest of your dry cake ingredients (brown rice flour, almond flour, cornstarch, baking power and soda, and salt) and mix to combine. Finally, add the milk and continue mixing until smooth. My family cannot eat gluten, so I wrote the recipe with gluten-free ingredients, but if you have no issues with gluten and only have all-purpose wheat flour on hand, you can easily substitute all flours in this recipe for it. I baked this cake in a KitchenAid® Square Cake Pan. This Square Cake Pan is non-stick, but I like to line it with a bit of parchment, which will also make it even easier to take out after it is baked. I love how sturdy this Square Cake Pan is, as its made from durable professional-weight steel for warp-free performance! Spoon the cake batter into the Square Cake Pan and spread it evenly. Then top it with the fruit filling, which by now will be a bit saucy and thick. Then, top it all with the crumb topping. Then bake your cake in the KitchenAid® Single Wall Oven at 350°F for almost an hour or until brown. Remember this cake has a fruit filling so when you insert a skewer or tip of a knife, it won’t necessarily come out clean like other cakes. I love my Single Wall Oven so much. It has Even-Heat™ True Convection, which provides consistent heating and even cooking, which is essential in baking, especially for cakes! Not to mention it has a wonderful and intuitive glass touch screen experience that’s as easy to wipe clean as it is to use. Let the cake cool in the Square Cake Pan for a few minutes so it has a chance to set. It is moist inside so can easily fall apart while hot. Once cooled, cut it up and get ready to enjoy it! 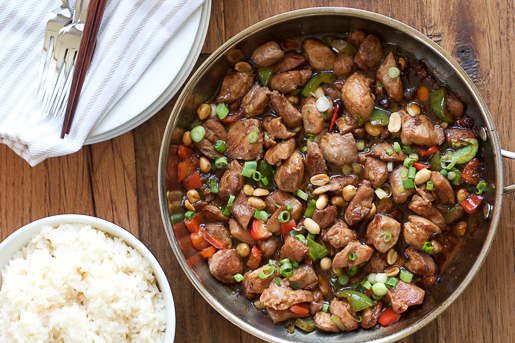 I cannot wait for you to try this recipe for yourself. Whether it’s for friends, your kids, or for a late night snack, this cake is sure to please everyone. Share your take on this Plum Crumb Cake recipe on Instagram using #MadeWithKitchenAid for a chance to be featured. 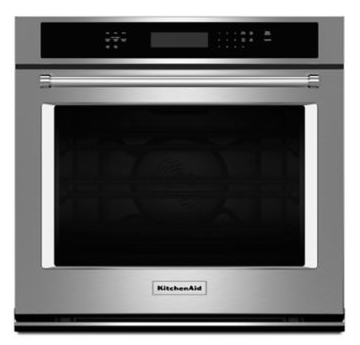 Preheat your KitchenAid® Single Wall Oven to 350°F. To make the plum filling, toss all the plum filling ingredients together in a bowl. Set aside until ready to assemble the cake. To make the crumble, place all crumble ingredients in bowl and work together between your fingers until you get a sandy consistency. Set aside along with the plum filling until ready to assemble the cake. Place the butter, sugar and vanilla extract in the bowl of KitchenAid® Stand Mixer fitted with the flat beater. Cream together over medium speed until light and pale, about 5 minutes. Add the egg and egg yolk and mix to combine. Add the dry ingredients and mix to combine. Add the milk and continue mixing until smooth. Grease a KitchenAid® Square Cake Pan with a bit of butter and line with parchment (optional). Spoon the cake batter into the Square Cake Pan and smooth evenly. Top with plum filling and crumble. Sprinkle the chopped hazelnuts on top of the crumble. Bake for 50 to 55 minutes until brown. Let the cake cool in the pan for a few minutes and unmold. 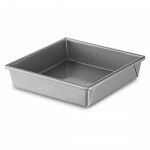 This versatile, square pan is perfect for baking an assortment of cakes, brownies, and cobblers. 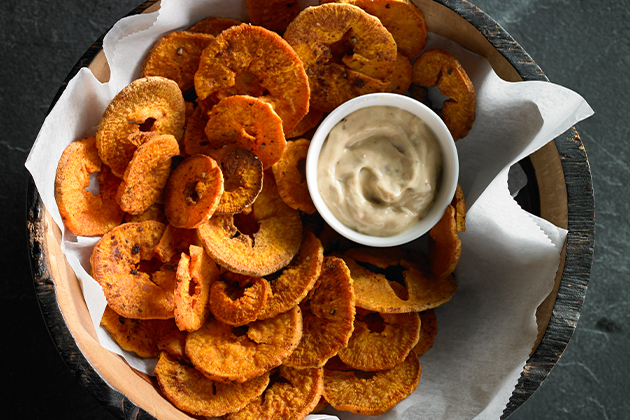 The nonstick coating ensures contents release easily from the pan.